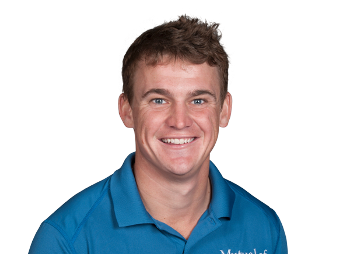 Just hours after missing the cut at the Memorial Tournament on Friday evening, PGA Tour player Bud Cauley and former NHL defenseman James Wisniewski were involved in the same serious car collision one mile away from Muirfield Village. Few details are known currently about the collision other than that Cauley was sitting in the passenger seat at the time. Golf Channel’s Todd Lewis first broke the story on Saturday afternoon and reported that Cauley had been admitted to a Columbus hospital on Friday night with five broken ribs, a collapsed right lung and a fractured leg. It is unknown for how long Cauley will need to remain under medical supervision. But seeing as though he is currently suffering from multiple serious injuries, it is unlikely that Cauley will compete again on the PGA Tour for several months. The former Alabama Crimson Tide standout has never won on the circuit since joining it full time in 2012, but he has shown splashes of potential in his young career, including two Top 10s this season. Our thoughts and prayers are with Cauley during this trying time, and we wish him a speedy and total recovery. Reports circulated last week that the PGA Tour’s Barbasol Championship will be extending a sponsorship exemption to 32-year-old Brittany Lincicome of the LPGA Tour. If Lincicome accepts — and she has already stated that she will accept if she is offered a spot — the American will become the fifth woman ever to play alongside the men in a PGA Tour event. Michelle Wie, Annika Sorenstam, Suzy Whaley and Babe Zaharias are the only other women who have competed on the PGA Tour before, and Zaharias still holds the distinction of being the only woman to ever make a cut in a PGA Tour tournament (1945 Los Angeles Open). Wie did come excruciatingly close to becoming the second woman to do so at the 2004 Sony Open when she was only 14, but ultimately missed out on the weekend by a single stroke! Lincicome understands that making the cut at an official PGA Tour event will be a serious challenge, considering how she will have to cover more than 7,100 yards at Keene Trace Golf Club. However, she is the 6th longest hitter on the LPGA Tour with an average of 271 yards off the tee, and she is currently in the midst of a strong season with a victory and six total finishes of T16 or better in 10 events. “The golf course sounds like it’s pretty wide open,” Lincicome said. “It’s going to be obviously pretty far, but that’s nothing I don’t think I can’t handle. There are only positives. If I play well, great; if I don’t play well, it’s still going to be a cool week.” The Barbasol Championship will get underway in Nicholsville, Kentucky, on July 19th. 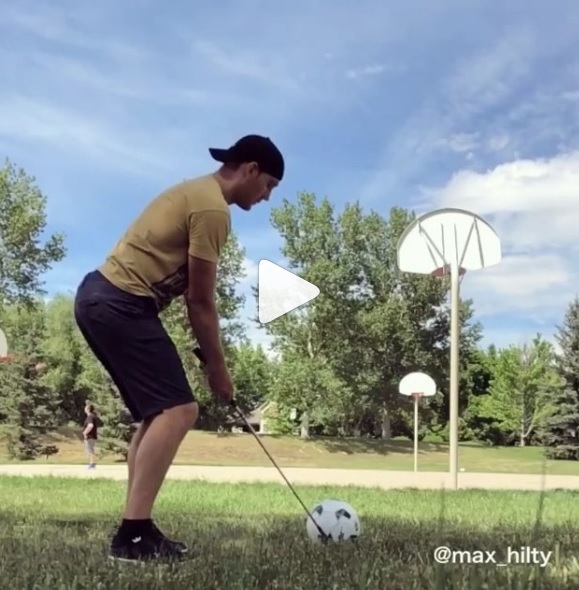 A trick shot that combines golf, soccer and basketball is always going to get our vote. And even though the soccer ball is mesmerizing as it cuts towards the hoop in slow motion, the best part of this video is clearly the lack of reactions from the two guys on the court playing 1-on-1. 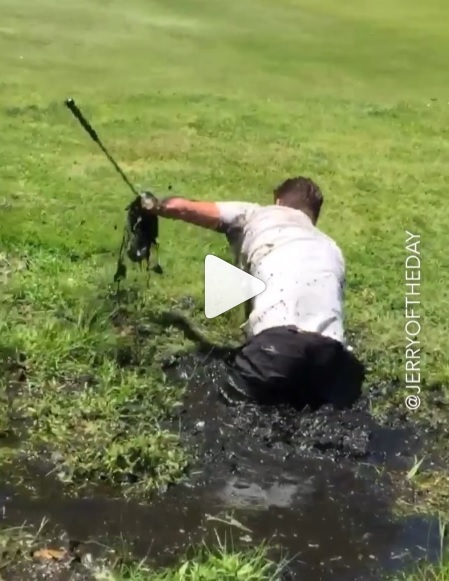 It’s rather unclear how this man got himself into this sticky predicament in the first place, but we’re just thankful that his wife recorded his struggles (while laughing hysterically) instead of helping him get out. 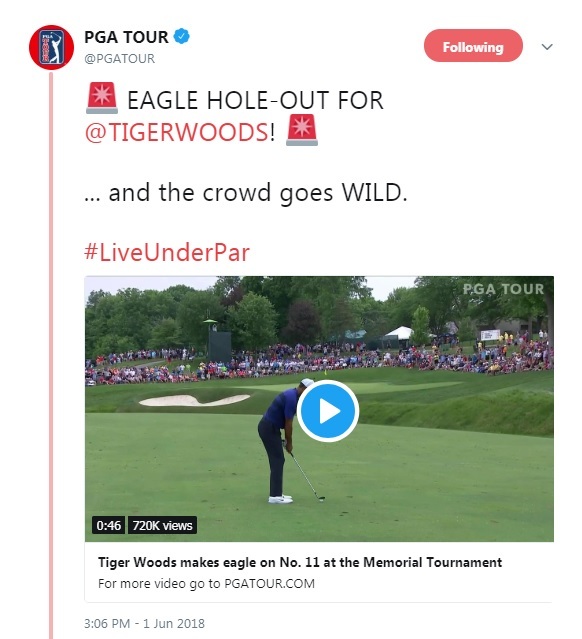 There were a lot of great shots at Muirfield Village this week, but none were more dazzling than when Tiger Woods jarred his eagle approach shot from 95 yards on Friday. Nothing but net! 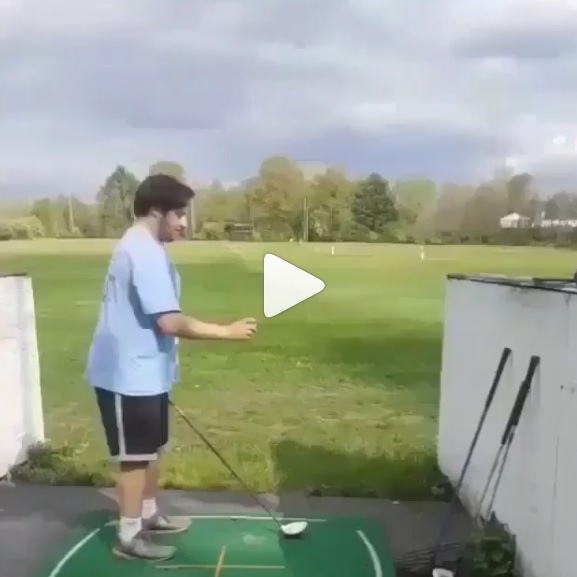 Best leave the trick shots to the experts! 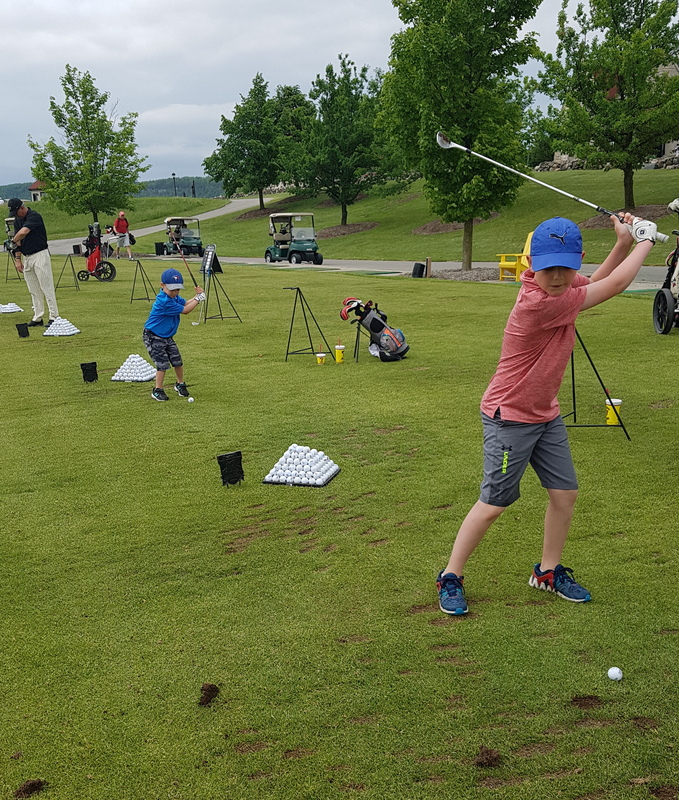 Southpaw siblings Michael (pictured left) and Andrew (pictured right) Gamble diligently practice their golf swings at Glencairn Golf Club on Sunday. Keep up the good work, boys!